"To All the Girls I've Loved Before" is a song written by Hal David (words) and Albert Hammond (music). It was originally recorded in 1975 by Albert Hammond on his album 99 Miles From L.A., but is more famous for a 1984 recording by Julio Iglesias and Willie Nelson, which appeared on Iglesias's album 1100 Bel Air Place. A breakthrough for Iglesias in the English language market, the song peaked at #5 on the Billboard Hot 100 and #1 on the Canadian RPM Top Singles. "To All the Girls I've Loved Before" went to number one on the country chart, and was one of two entries on the country chart for Julio Iglesias and Willie Nelson as duo (the second was "Spanish Eyes", which peaked at #8 in late 1988). David and Hammond created the song in 1975 and registered it with the copyright office on April 28 of that year.Following Bobby Vinton's recording released on October 9, 1980, the song was registered as published. It was Iglesias' biggest hit in the United States and Canada, and Nelson's biggest European hit. The record also appeared on Australian, New Zealand and South African charts. The song has become Iglesias's signature English-language tune, prominently performed at his concerts since the single's release. 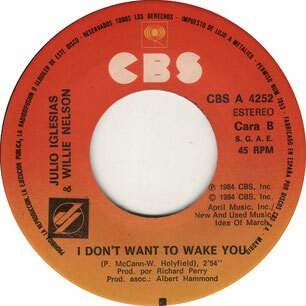 Thanks to this song, 1100 Bel Air Place became Iglesias' worldwide best selling album. 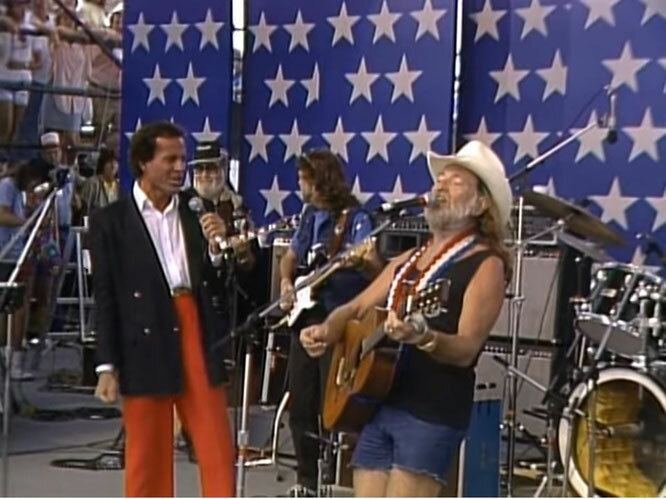 In 1984, Nelson and Iglesias were also named "Duo of the year" by the Country Music Association, and "To All the Girls I've Loved Before" was named single of the year by the Academy of Country Music.